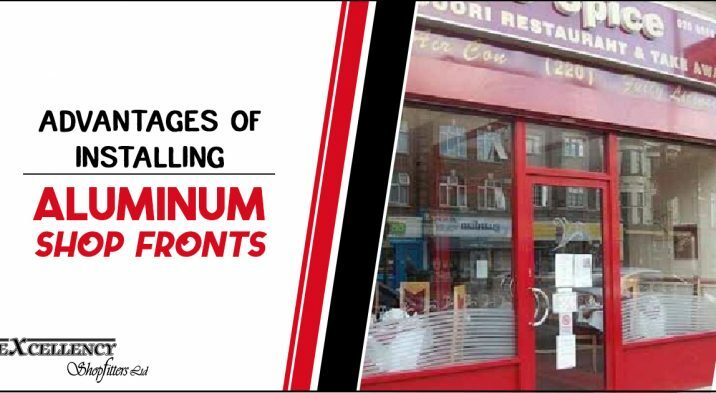 Aluminum Shopfronts are well-known and popular for their better and smooth functioning. These are not useful for a pleasant look but also offer you many other benefits such as easy to update, require low maintenance, strength, durable, and cost-effective. The aluminum shopfront is fabricated with the safety or toughened glass because it will give you best functioning, security, and you can customize them according to your choice and front structure. These shopfronts are useful to update easily if you want to change them according to your requirement after some time. These can be easily updated at a new structure of your brand storefront. This is the material which you can simply paint with the help of spray paint if you want to change the color because this is the recyclable material. An aluminum shopfront is a too strong material and the frames of this material offer you more security as compared to other materials. You can install them at the front which offers you safety and security from intruders because it is hard to break even with the hard instruments. Moreover, these are accessible with a range of locks which you can install at hidden places of aluminum frames. In this way, you do not need any extra security feature with the goal to secure your brand store. This is the material which you can simply install in any shape, size, and design. Or you can customize it according to your choice and structure so that you do not need to reconstruct it over time. You should choose those designs which cannot change a lifetime. This material requires low maintenance because this is easy to clean with the wet wipes or cotton cloth. You do not need to give it extra care and maintenance. If you find anything wrong then you should fix it yourself with the help of a tool book and some other videos. Otherwise, you should call our professionals because we offer you effective service at affordable prices. This material is long-lasting and versatile because it is too strong material. Moreover, this is the material which is corrosion free material and does not require re-painting and any other type of repair. You can install them at affordable prices, not only installation but customization also available at affordable rates. That’s why everyone like this material and installs it at their shopfront.